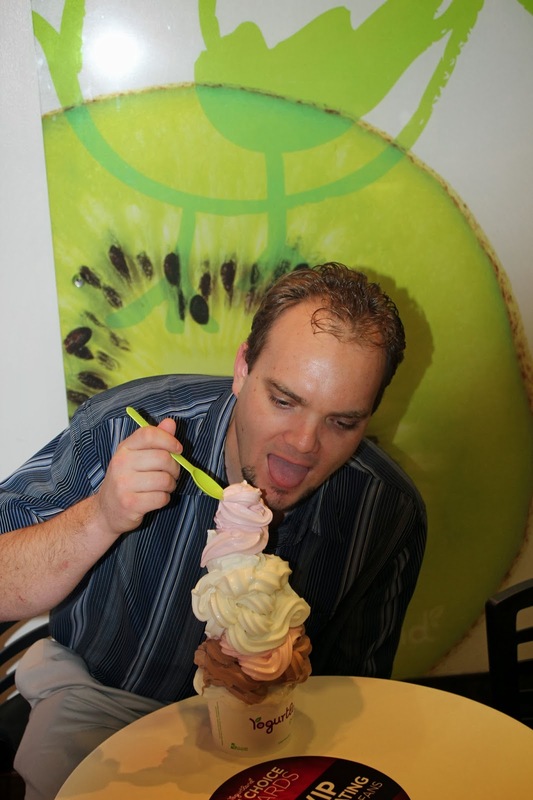 After accumulating enough points, I was awarded an "Unlimited Yogurt Cup", which allowed me to put as much yogurt as I could fit into one cup, for free. Challenge Accepted. 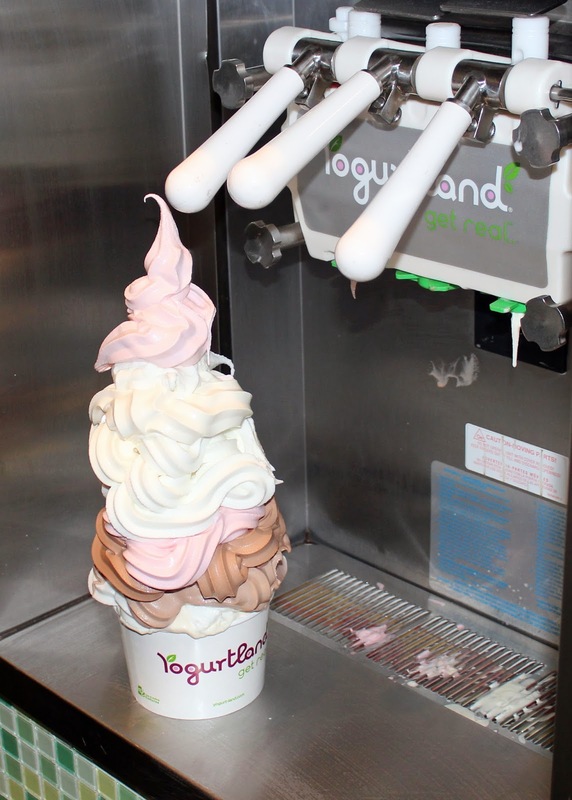 I piled on the yogurt until I could no longer fit the tower under the yogurt dispenser, and then I used a spoon to heap even more on. Normally we will get somewhere between 8 and 12 oz of yogurt. 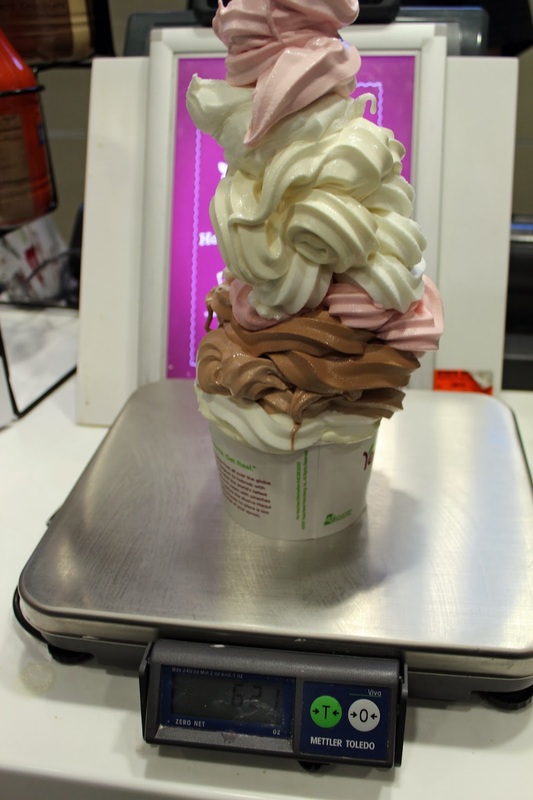 This giant mess was 62.1 oz, just shy of 4 pounds of yogurt. If you are curious, no I did not eat all that yogurt. Each layer was a flavor chosen by my kids, with mine on the bottom, so they ended up eating everything visible above the cup.